The biggest must buy this week has to be Dredd on Bluray or DVD. Many comic fans thought it easily topped Batman and Avengers in 2012 in terms of comic book movie epicness and it’s now available to own and watch as many times as you can in a day. It’s mega cheap on both Amazon.com and Amazon.co.uk right now. It’s Elephantmen time and its still the oldest comic series on my standing order. 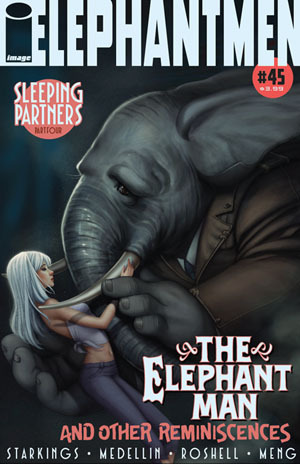 This week see’s Elephantmen #45 which looks great and worth buying just for the cover let alone the 40 pages of awesomeness. There is also a movie tie in “Marvels Thor Adaptation” which covers the origin of movie Thor. I’m not sure if this will be a comic version of the movie or be a prequel but it looks like a nice filler for those of us waiting for the next Marvel movie.